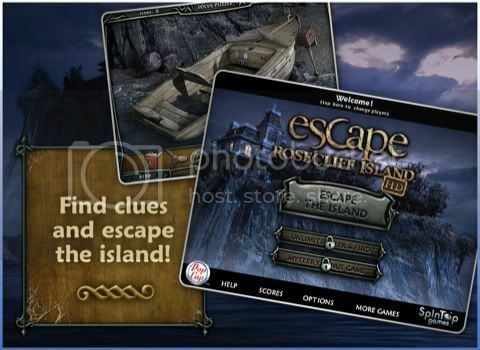 Escape Rosecliff Island HD is a new game from PopCap Games. You may know PopCap Games from their popular game, Plants vs. Zombies HD, where you are protecting your home (and brains) from hungry Zombies with an arsenal of plant weapons. In Escape Rosecliff Island HD, an unexpected storm has left you shipwrecked on a mysterious private island. Can you find your way back home? You'll need a sharp eye to solve this captivating hidden object game. Explore 25 mysterious scenes and track down 2,100 hidden objects that will lead you to safety. Solve intriguing mini-games to piece together all the clues. This is one adventure you don't want to miss! This is a wonderful hidden object game.There are 25 levels to traverse.Toward the end of each one level you comprehend puzzles,which will provide for you what you have to ultimately tackle the game.I have played this game through twice now, and each one time the hidden objects that you need to discover change.This gives the game good replay value.I would recommend this game for any hidden object fan.